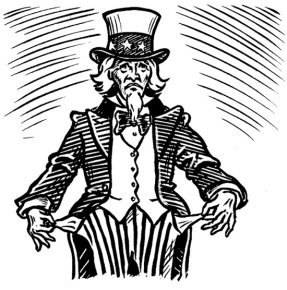 Why Does Refusing to Put Fraudulent Banks into Receivership Help the Economy? Conservative economists love “creative destruction.” They can’t wait to “get their Schumpeter on” when a business fails and thousands of workers lose their jobs. There is no more “creative destruction” conceivable than when we put a bank that has become a fraudulent enterprise into receivership, remove the controlling officers leading the fraud, and sell the bank through an FDIC-assisted acquisition. Indeed, the pinnacle of creative destruction would be doing this with a systemically dangerous institution (SDI) through a process that split the supposedly “too big to fail” bank into smaller components that (1) were no longer large enough to pose a systemic risk, (2) were more efficient than the bloated SDI, (3) no longer extorted a large (implicit) government subsidy that made real competition impossible, and (4) no longer had dominant political power via crony capitalism. Unlike the situation in which an SDI collapses suddenly in the midst of causing a global crisis when its frauds cause a liquidity crisis, it is vastly easier to put fraudulent SDIs in receivership in today’s circumstances. Unlike Arthur Anderson, the receivership power allows us to keep the enterprise alive and create more competitors rather than fewer. Piketty’s Wikipedia page says that he’s a Keynesian. Well, I don’t see it at all. His book contains a section on the public debt in historical perspective and it is desperately misinformed. A caveat first though: I actually like Piketty’s book in a lot of ways. While not extremely well written, it is highly readable (if you are an historical data sort of person). And it is very nice to see what is effectively a work of economic history get so much play. Because economists should be far more interested in reality than in modelling and this book could spur that interest. But the history presented in Piketty’s book is selective and, I think, ultimately untrustworthy. Even the way he chooses to present data — both in terms of the averaging of the time periods and aggregates used — is often quite misleading. I don’t want to get too far into this here but I’m pretty concerned that people who are broadly ignorant about economic history are reading this book and coming away, in many ways, misinformed.